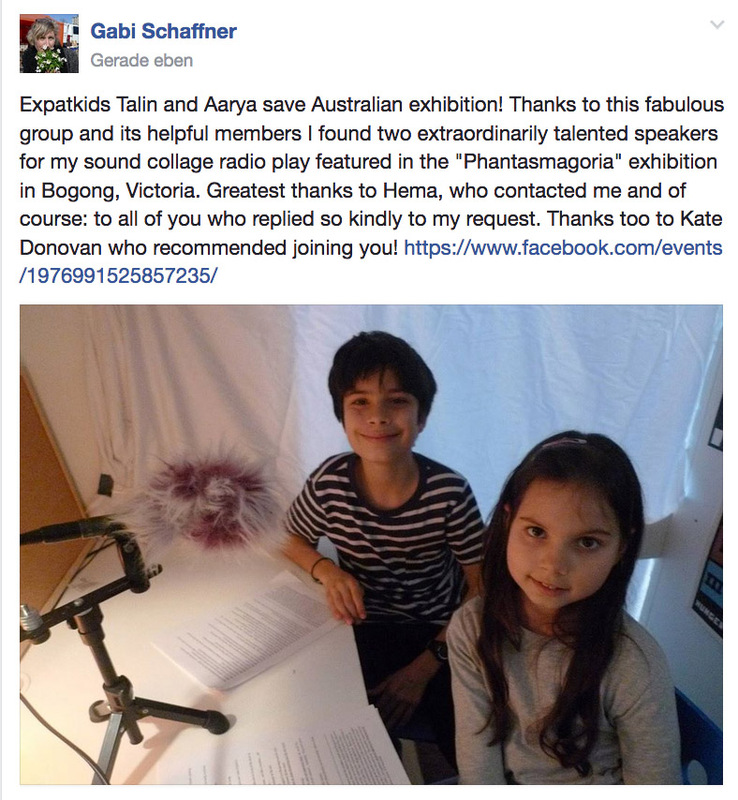 Talin and Aarya Bennett are the star speakers in my newest of new radio pieces „Electric Fairy Grounds“. They will share their adventures – including encounters with the Moth King and a Fern Witch – with the visitors coming to visit „PHANTASMAGORIA“ (7. – 30. April, Bogong, Victoria). The story will be told in three chapters and in three different places around Lake Guy. Get your walking boots ready and don’t forget to bring a mobile radio as the installation is ON AIR, 100 Mhz. Dear Hema and Kate, thank you once again!